This last week saw The Sea, the Sea beat Midnight’s Children, in a surprising upset that did upset some folks. I had to keep jumping in with a kind reminder that there is a reason it’s called madness, and that it’s all fun and games and shenanigans, and in the end the only thing that matters is that we have a chance to talk about books. Right now it is looking like the final battle with be between The Remains of the Day (which has a slender lead over The Sea, the Sea) and Moon Tiger. My problem is that I still haven’t read Moon Tiger! How can I vote for it (or against it) if I haven’t read it? I’ll figure out some excuse. 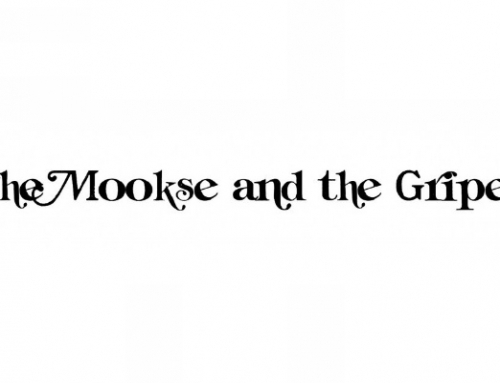 If you’re interested in joining in, come see us at the Mookse and the Gripes group on Goodreads here. This Wednesday the longlist for the 2019 Best Translated Book Award will be announced over on The Millions. It’s my favorite book prize, period. It’s been going for just over a decade, and I’ve had been happy to follow it closely almost since its inception. I even had the lovely opportunity to serve as a judge a couple of years ago. The longlist — which is truly long at 25 books — always has plenty of surprises, so I’m excited to see what this year brings! I hope you’ll find something for you!
. . . has been one of my favorite living authors for some years now. I’m slowly enjoying his latest, Berta Isla, which will come out in the United States later this year. It came out in the United Kingdom last year, so there are plenty of reviews already online. I’ve been purposefully avoiding them. Normally, I don’t care that much. I can read a book review, even one with spoilers, and still look forward to the book. But when a new Marías arrives I kind of like to take it to a corner and pretend I’m the only one reading it. To do this I find that I have to have the physical book, something I can scribble all over. Consequently, these books feel more personal to me than most others. I’ll be doing the same when the next Krasznahorkai arrives! For a while, she wasn’t sure her husband was her husband, much as, when you’re dozing, you’re not sure whether you’re thinking or dreaming, whether you’re actually in charge of your own thoughts or have completely lost track of them out of sheer exhaustion. Sometimes she thought he was, sometimes not, and at other times, she decided to believe nothing and simply continue living her life with him, or with that man similar to him, albeit older. But then she, too, had grown older in his absence; she was very young when they married. Always a master at openings, Marías does it again here, introducing so much in a meandering sentence that, I think, is a joy to read . . . and filled with intrigue. At the start of the year, I wrote down the titles of ten books I’d like to read sooner than later. These are books I have had for a long time but keep saving for a rainy day, usually choosing some new arrival instead. I’m happy to say I’ve read two of the books so far — Still Live, by Louise Penny, and They Came Like Swallows, by William Maxwell. I enjoyed them both a great deal, and I’m looking over the list to see what to read next. Do you have books you’ve been saving? I don’t mean putting off, which I do sometimes as well. I mean you’ve got some books on your shelves that you’ve been excited to read, but you’re saving them. Maybe you can’t bare to read it yet. You’re saving it for some holiday, perhaps. I don’t know why we don’t just settle down and pull them off the shelf and delve in. But I hope part of the reason is that there’s something so wonderful about always having something you’re excited to read close by. It’s great to keep that promise alive. Thanks to a few of you who signed up to support me on Patreon over the last couple of weeks. Believe me, every little bit helps, more than I can express. The funds go to the growing expense of hosting and technical support to keep this site and the accompanying podcast (yes, there is more to come on that) alive and well. I appreciate the support so much. If you are looking to support the site as well, please check out the Patreon page and consider signing up (see here). Thanks!